(CNN)— Take the free-for-all nature of social media, add the oft-mean spirited commentary that punctuates political circles and you have a recipe for petty online smackdowns. Conservative commentators Dana Loesch's and Meghan McCain's online back and forth devolved into an hours-long, Twitterverse brawl on the derogatory nature of (drumroll please)… political brawls. 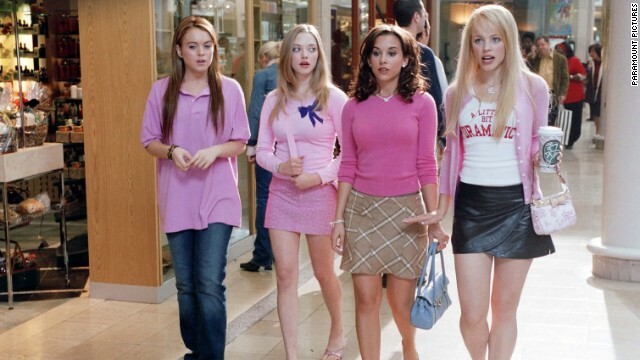 (CNN) - You may not have known that Thursday was International Happiness Day. Rep. John Lewis definitely knew, and he has the dance moves to prove it. A video of the Georgia Democrat dancing to Pharrell Williams' "Happy" was posted on YouTube by one of Lewis’ staff. 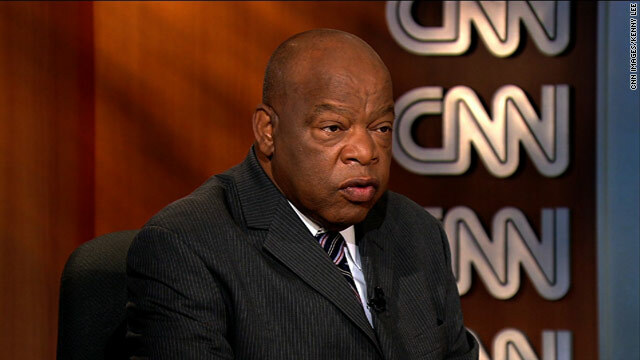 (CNN) – Rep. John Lewis, a Georgia Democrat who was the youngest keynote speaker at the 1963 March on Washington, says on the fiftieth anniversary of the landmark event that the civil rights movement allowed young people’s lives to take on a purpose. 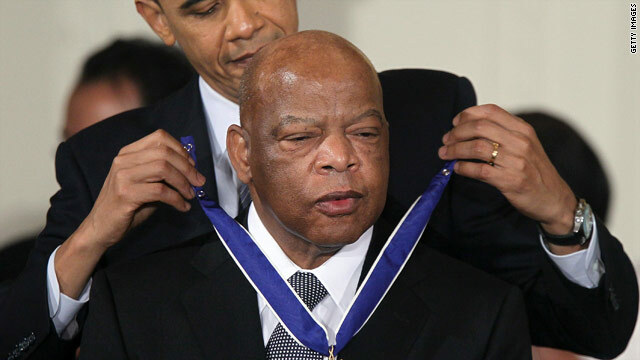 (CNN) - Longtime congressman and veteran civil rights icon John Lewis said the Supreme Court's ruling on the Voting Rights Act dealt a major blow to minorities in the United States. "It is awful, it's a sad day, I never thought that I would see the day when the U.S. Supreme Court would put a dagger in the heart of the Voting Rights Act of 1965," he said Tuesday on CNN's The Situation Room with Wolf Blitzer. 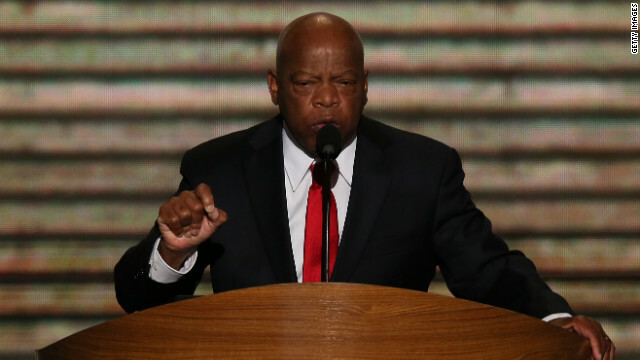 (CNN) - Civil rights icon Rep. John Lewis, D-Georgia, leveled an explosive charge in a fundraising email for a candidate seeking to oust a Republican congressman from Florida. Lewis, wrote that there is a "deliberate and systematic effort on the part of Republican officials to prevent minorities, seniors, the young, and the poor from casting their ballots." 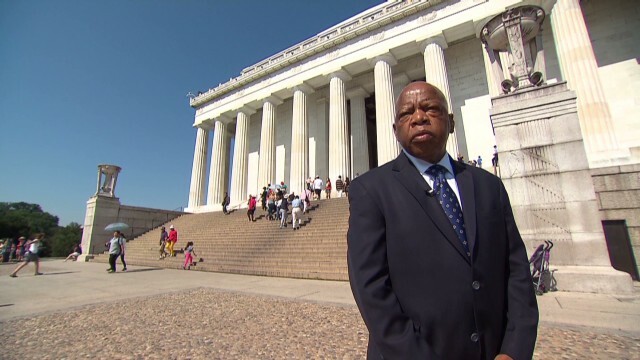 Washington (CNN) – On the morning of the Martin Luther King, Jr. memorial dedication, a longtime Georgia congressman and the last surviving speaker from the March on Washington said King was not only a instrumental figure in American culture—but in him, as well. 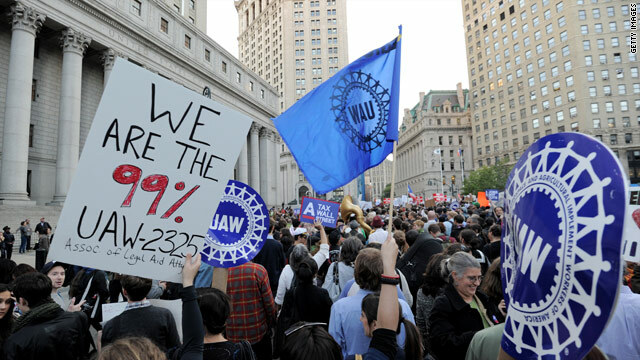 Washington (CNN) - Politicians fought Sunday to cast the ongoing Wall Street protests in very different light, with two GOP presidential candidates calling them "class warfare" as two prominent Democrats expressed support for the protesters' message. "They want to be heard," said Rep. John Lewis, D-Georgia. "And at the same time they want to speak to America, speak to people in power, to officials of the American government but also to the business community, especially Wall Street, to corporate America, to bankers. They're saying, in effect, that we bailed out Wall Street and now it's time for Wall Street and corporate America to help bail out the American people. On CNN's State of the Union, Rep. Mike Pence, R-Indiana, called the slur directed at Rep. John Lewis, D-Georgia, 'contemptible.' 'I denounce it in the strongest terms,' Pence said. Washington (CNN) - House Republican leaders criticized the use of slurs against Democratic congressmen by protesters on Capitol Hill Saturday, but they called them isolated incidents that shouldn't overshadow the debate over health care. Three Democratic African-American lawmakers - including civil rights leader Rep. John Lewis of Georgia - said demonstrators against the health care bill yelled racist epithets at them as they walked past. Rep. Emanuel Cleaver of Missouri said a protester spit at him. Rep. Barney Frank of Massachusetts, an openly gay Democrat, said protesters yelled anti-gay comments at him. death, and millions of Americans want no part of this growing size of government." House Majority Leader Steny Hoyer, appearing on NBC, said, "I think the tone of the this entire debate has been denigrated, has been brought down, frankly, by the rhetoric on government takeover, socialism, things that are not accurate." "Nobody condones that at all," said House Minority Whip Eric Cantor, R- Virginia. on ABC's "This Week." "There were 30,000 people here in Washington yesterday. And, yes, there were some very awful things said." Cantor appeared with House Democratic Caucus chairman John Larson, D-Connecticut, who said the incidents show "everybody ought to ratchet back just a little bit." Asked about Larson's comment, Cantor said "you know what it is time for? 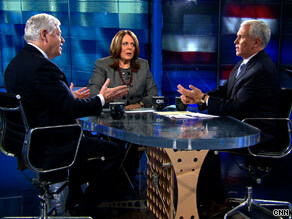 It's time to listen to the American people, and that is the stunning thing about this." On CNN's "State of the Union," Rep. Mike Pence, R-Indiana, called the slurs "contemptible," saying, "I denounce it in the strongest terms."